Up today is the WONDERFUL Marigold from Hideous! Dreadful! Stinky! 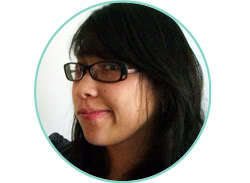 One of my favorite blog friends and long time Harry Potter friend. Although they are a Slytherin family so I don’t know what to do with THAT. 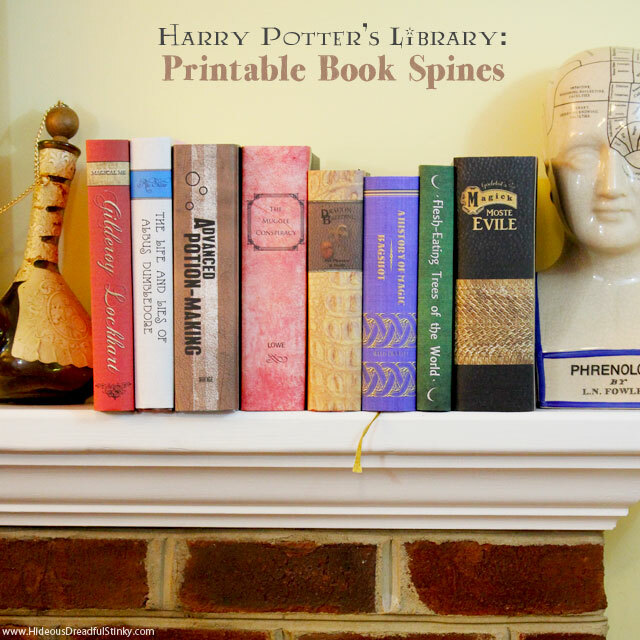 But check out the awesomeness she made for Happy Harry Potter –Printable Harry Potter Book Spines! What?!! You know all the books they refer to in the stories now you can print up book spines and decorate your books for parties, photos and more. Hop over to get the printables and see more. 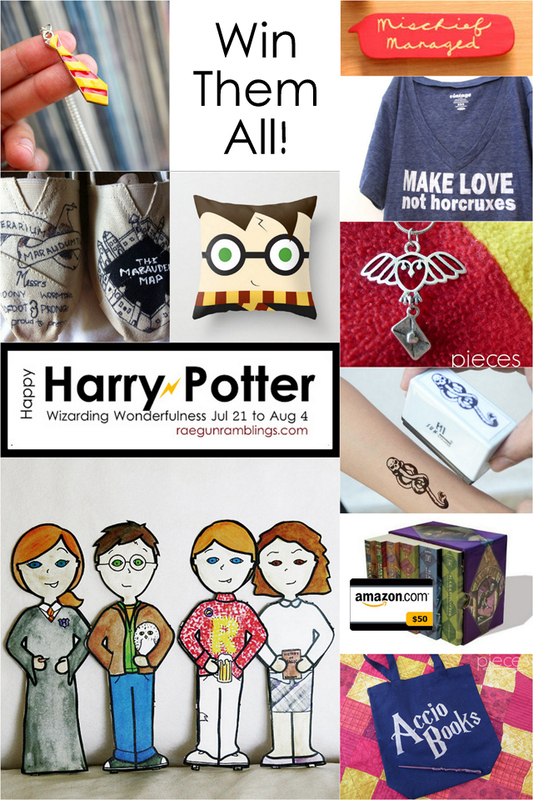 And if you missed my post from earlier I shared Light Up Harry Potter Wands that you can make in just 15 minutes. So stinking easy. AHH it might be one of my favorite things I’ve made in a long time. See what I made them out of and how you can make your own too! Giveaway? Yup there’s still time to enter! Check this post for more details about each of the prizes. What can I say? We just can’t resist the allure of the Dark Lord! Thanks for having me join in the HP fun! 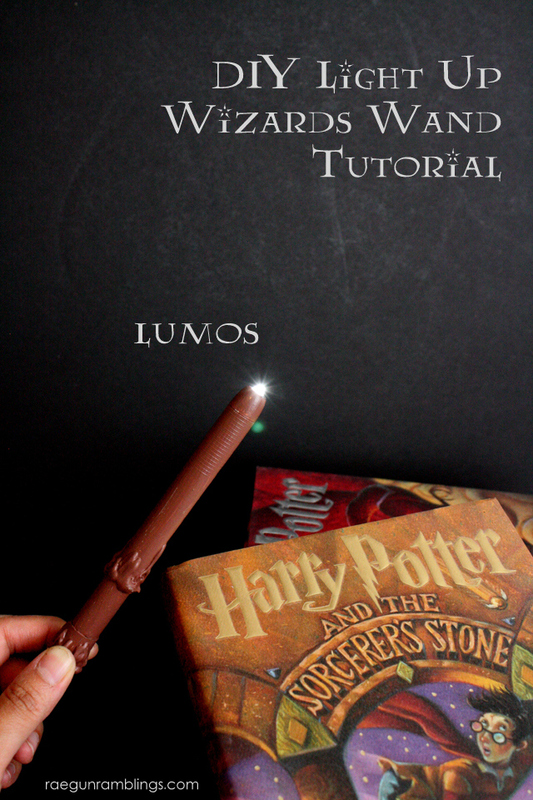 Your light-up wands are such a cute idea!